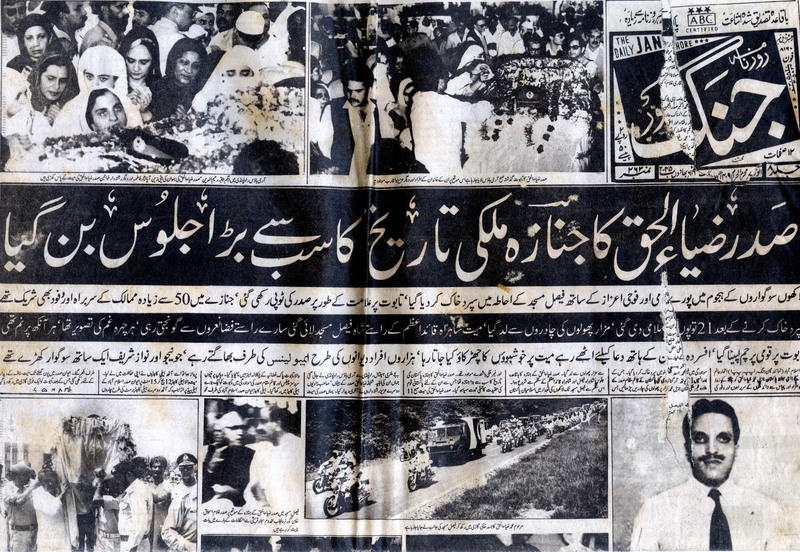 The funeral of Zia ul Haque was the most heavily attended funeral in the history of Pakistan. The world came to mourn him. Attended by leaders and delegations from fifty countries. It is east to criticize him but more difficult to realize the obsession and the constraints he was working in. 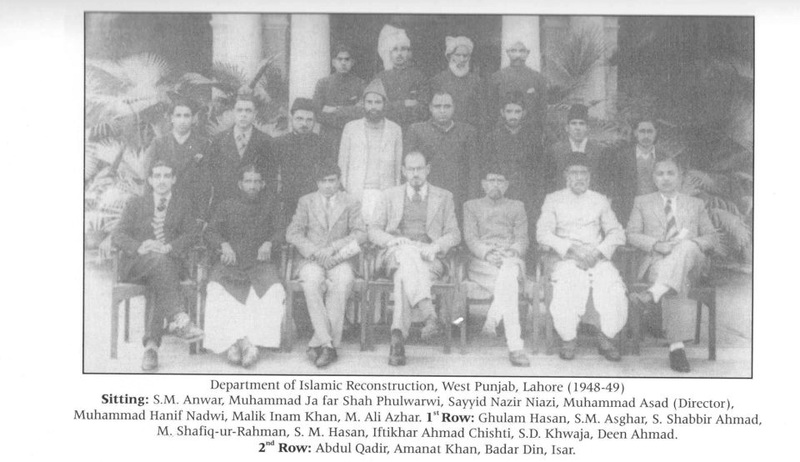 A remarkable thing he was trying to do was to revitalize the Department of Islamic Reconstruction made originally by Quaid e Azam and was ready to appoint the German convert Muhammed Asad to do the job of Ijjtehad in Islam. A gold medal was awarded to even G.A. 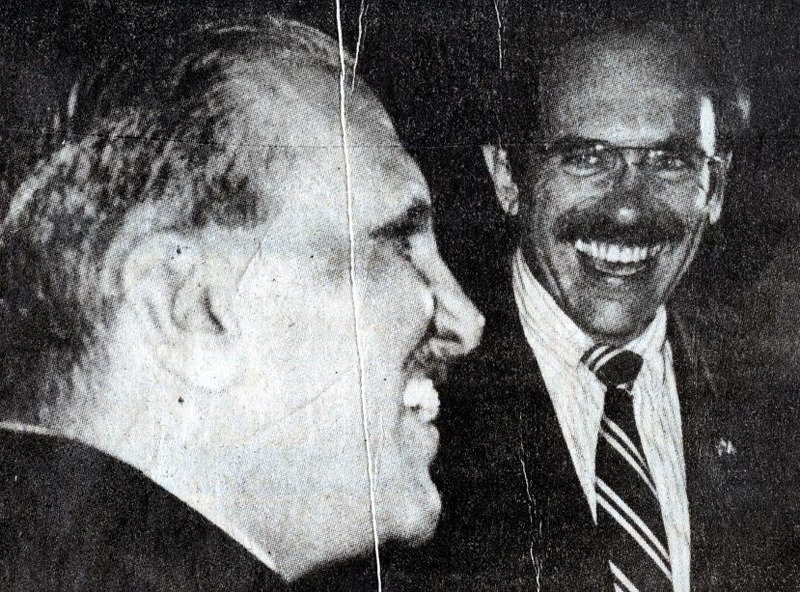 Pervaiz for his contribution to the struggle for Pakistan as a trusted Adviser to Quaid e Azam himself. And it is projected that he was a mere Mullah. A Mullah cannot even conceive of people like Allama Muhammed Asad. With all his inadequacies, he was trying to do more than his share of work. Why people are being allergic to him? The foreign lobbies do not like leaders talking about the Ideology of Pakistan. 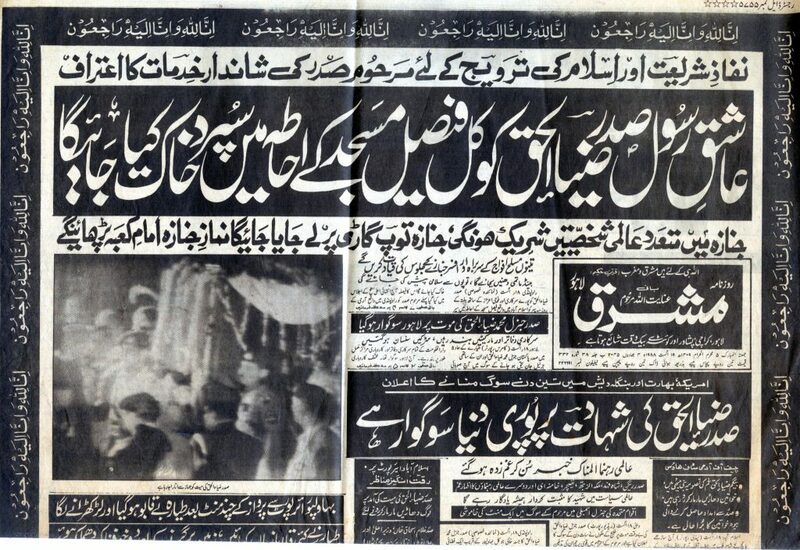 President Zia gave a new impetus to this Ideology and lost his life for it. In all ways he is a true shaheed, while this word is so loosely used by others to further their claim to immortality. Worthy to consider the facts.